It may seem surprising, but just a little over half of American adults have money in the stock market. This is a shame, considering how much money there is to be made. If you want help deciding which Dow Jones stocks to buy, check out the top 5 on the exchange right now. For the fame construction equipment manufacturer, Caterpillar Inc., a couple of years is all it took to reach hit record highs, drop to record lows, and bounce back to its former dominance all over again. A couple of years ago, CAT slow growth in China made them suffer and the rest of the planet also had less demand for backhoes, bulldozers, and other construction equipment they make. Shares of their stock on the Dow basically hit the floor. Eventually, the growth came back, and CAT stock was able to return to its former highs, and they’re looking just as strong in 2019. When you own the iconic and dominant brands in the retail fashion market, you’ve got to be doing something correctly. That swoosh has made Nike stockholders tons of money in the past few decades now. The brand’s stock is up 20% in the last year, and this trend is likely to continue in the next few years. Brick-and-mortar may be struggling, but retail online retail ain’t dead. Walmart has ratcheted up its e-commerce after seeing large increases in online shopping industry-wide. They’ve bought Jet.com and a ton of other online shopping platforms, adding more online shipping and pickup offerings for customers and increasing the number of products available on Walmart.com. This plan has seemed to work thus far, and they’re expected to make even more money in 2019. 3M is a widely successful company with over six decades of dividend increases, and the company also has made uninterrupted payouts to stockholders for more than a century. This makes it one of the safest stocks on the market. Drug delivery systems, sealants, tape, protection equipment, and insulation are just a few of the over 60,000 products 3M sells in nearly every country on the planet. Going back to 1902, 3M’s success can largely be placed on the management team’s focus on innovating products that play a crucial role in business operations. As a matter of fact, over 1/3rd of 3M’s $32 billion of revenue per year come from products the company invented in the last 5 years. Apple is down 35% from its record high last September. Right now, Apple trades at a price-to-earnings multiple of just ten. This is atypical for a company that had a 41% jump in earnings and a 20% revenue growth in its the last quarter. However, Apple has justified its slump a little bit with its first quarterly revenue-guidance cut since the invention of the iPhone. Apple’s other products and software, like iCloud, the App Store, and Apple Pay that are built into its phones and computers, continues to be a future driver of growth, so expect this to be a temporary slump. In fact, this slump makes it one of the best stocks to buy in the Dow Jones today. Want More Advice on Dow Jones Stocks? These are just a few of the Dow Jones stocks worth buying in 2019. 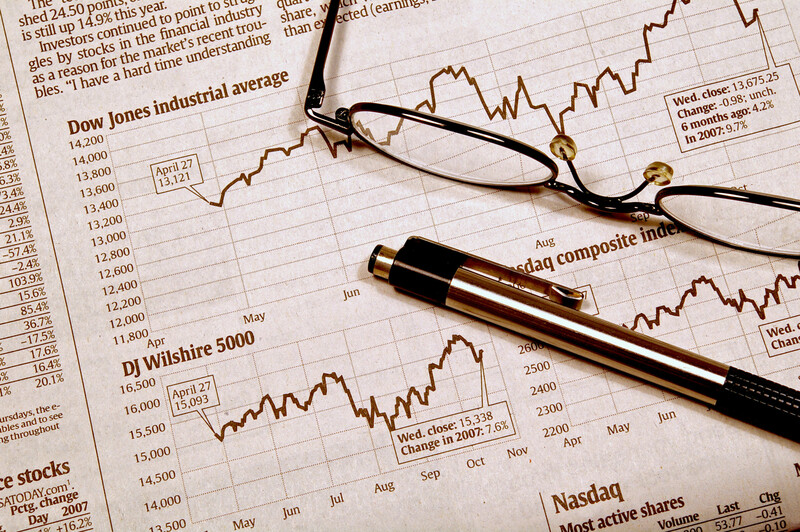 If you’d like to do more research on the stock market, or on the financial sector in general, be sure to check out The Financier section of our website.